Orders over $500 always ship FREE! Get in touch with us if you have any questions or need additional assistance. 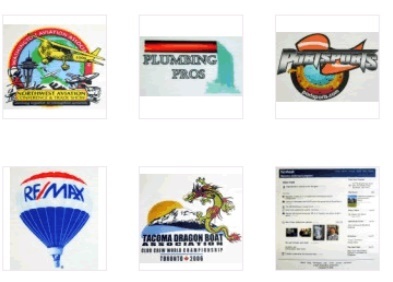 Digital printing produces quality, full-color images at a very affordable price. This technology gives a high-impact visual for your graphics. Technical advances with various film materials offer a very soft touch to these heat applied images. We recommend digital printing for smaller orders or for businesses that require an "as needed" basis to the order. Digital applications can be applied to most garments. However, some laminated garments such as bonded outerwear are sensitive to high heat. Call us if you have any questions. 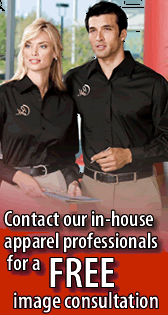 Our garment catalogs offer options for any need! Vector artwork in a .cdr or .eps format is required for this application. Some graphics may need modifications to the artwork for proper application. Converting your artwork into the proper format is available for an additional fee. Submit your artwork to orders@rainierdesigns.com. Digital application price are based on the complexity and size of the artwork.